Luxurious mountain retreat with gorgeous mountain & valley views! Gated entrance & 4.12 serene acres of grounds to enjoy. Pool, hot tub, sauna, gardens, large shop with space for an RV – this home has it all! Inside you will find warm & inviting, yet open rooms. Main level master suite with private sauna & exercise room. Vaulted beamed ceilings, hardwoods, built-ins & more. No detail was overlooked in this custom & quality-built estate! Please, send me more information on this property: MLS# 19127014 – $1,759,000 – 24680 Sw Grandvista Dr, Sherwood, OR 97140. 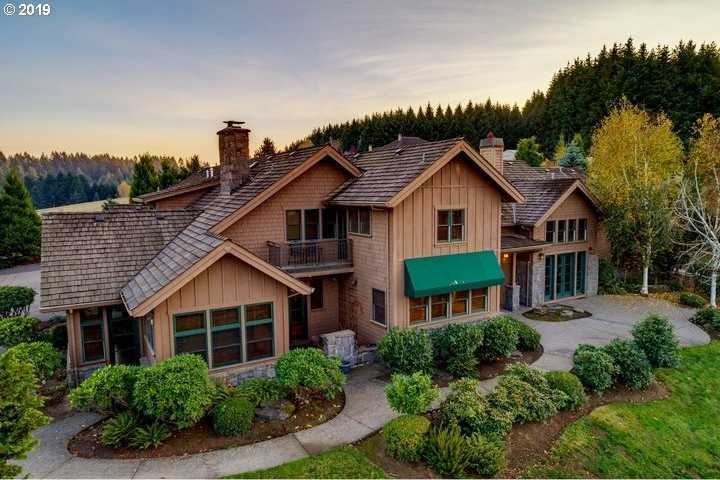 I would like to schedule a private showing for this property: MLS# 19127014 – $1,759,000 – 24680 Sw Grandvista Dr, Sherwood, OR 97140.